I love breakfast. I always look forward to starting the day with something delicious and wholesome. Generally I get a little bored with eating the same thing and I like to try new things every week or so to mix it up a little. However I have eaten this Apple, Almond and Coconut Breakfast Bowl everyday for the last four weeks and I still look forward to eating it every morning. When I recently made it for my sister and she loved it too, I thought I'd share it here. It was, yet again, inspired by The Healthy Chef. I make mine in my mini food-processor, the one that comes as an attachment with a stick blender. That means I can then eat it directly from that bowl - who needs more dishes! Don't get too caught up in quantities - eyeball it according to your tastes. I'm normally a green apple girl, but I think red apples work better here. I sometimes add cinnamon or a dash of vanilla into the mix. Have fun playing around with your preferred toppings, try some seeds for crunch or try topping it with other fresh fruit. 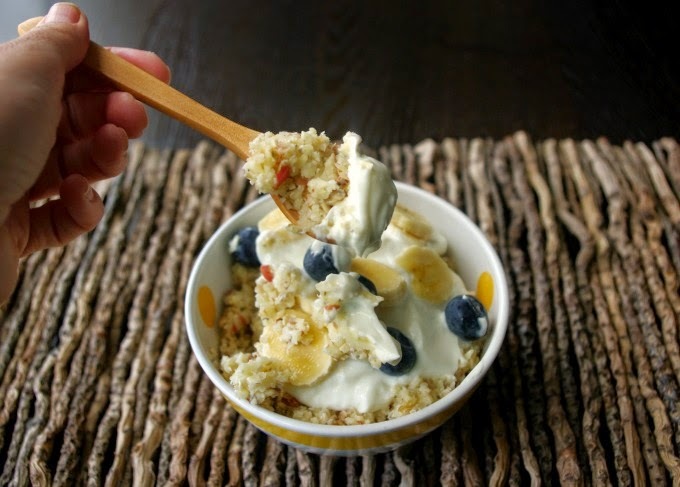 It's quick, fresh, delicious and full of protein so it easily keeps you full until lunchtime. Blitz apple, almonds, coconut, oats and chia seeds in mini-food processor. 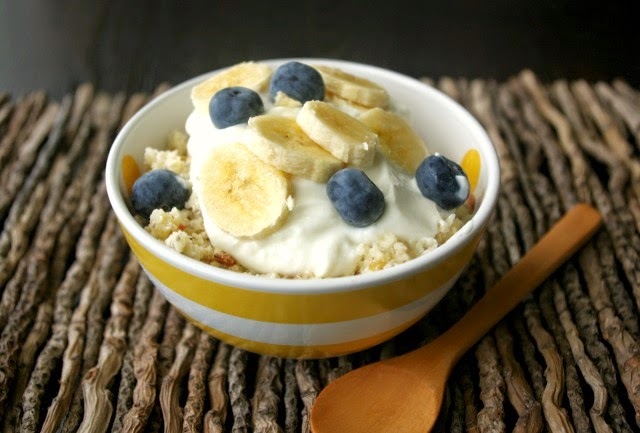 Divide equally between two bowls and top with Greek yoghurt and banana and blueberries. What's your favourite breakfast at the moment? Sharing with Fabulous Food Fridays and I Spy Plum Pie's Meatless Monday Link Up. Ooh yum, that looks and sounds super tasty! 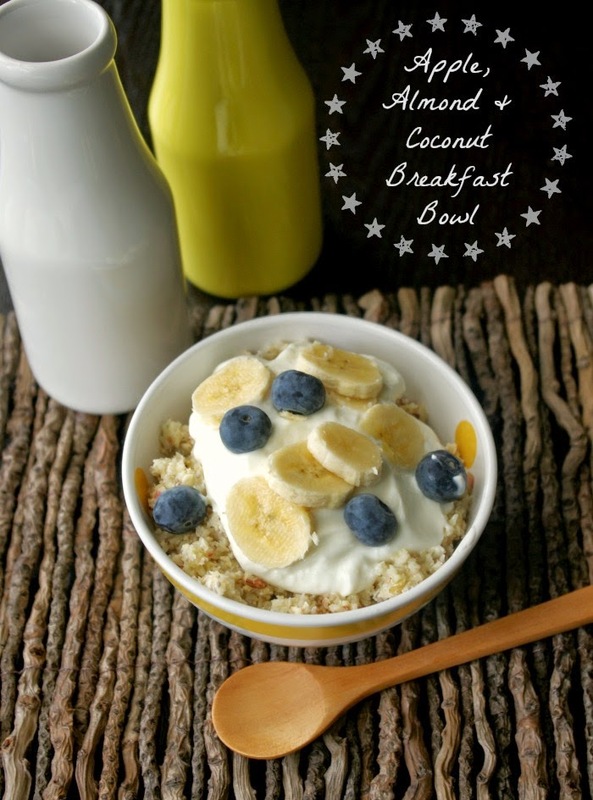 An excellent summer breakfast alternative to smoothies! Food preferences definitely change with the seasons and this is hitting the spot quite nicely as we move from spring to summer!